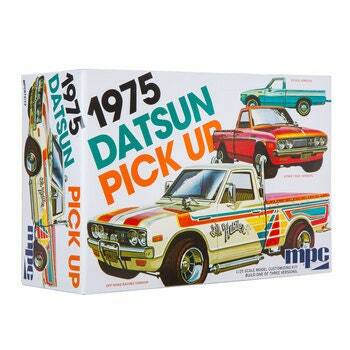 Put your assembly skills to the test with 1975 Datsun Pick Up Model Kit! Featuring a stock version, a street rod version, and an off-road racing version, this fun kit features a scaled down version of a real Datsun with pieces like custom tires, a side muffler, and a console. Put all the pieces together, and bring own model paints to the table to finish it up!